Happy Thursday, lovelies! I hope your week is going well. I’ve been busy chatting about my new book to anyone who will listen, experimenting with some pumpkin things (coming here soon), holding my breath/feeding my son his first lick of peanut butter (! ), and massaging my left arm where a flu shot left it sore AF. Busy busy. Here are a few links for your (almost) weekend! Not sure what to make for dinner? 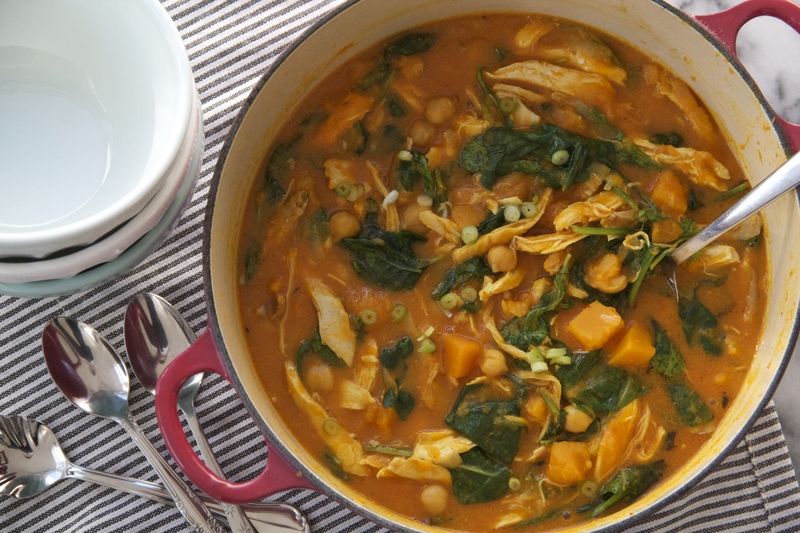 How about Butternut, Spinach & Chickpea Red Curry with Chicken. Proud of these guys at my alma mater. Feel like going bananas? Check out the new And Eat It Too episode! Is this a real thing? Should we try it?! Finally, a news article that doesn’t make me weep for humanity. A salad I’d love to eat. A fun list! How many have you read? Previous Post: « One Pan & Done! Thanks for the shout out! 🙂 That salad is A+!